The colors of the agricultural fields surrounding Paris are striking in the springtime, even when viewed from a 400 km orbital altitude. 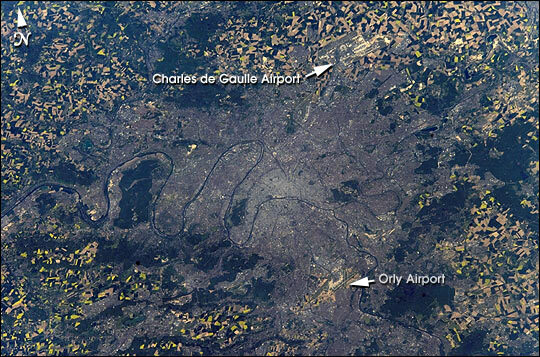 Astronauts on board the International Space Station photographed Paris using a digital camera and downlinked the image to the ground. This photograph of Paris is the latest to be included in a collection of the best photographs of cities taken by astronauts. 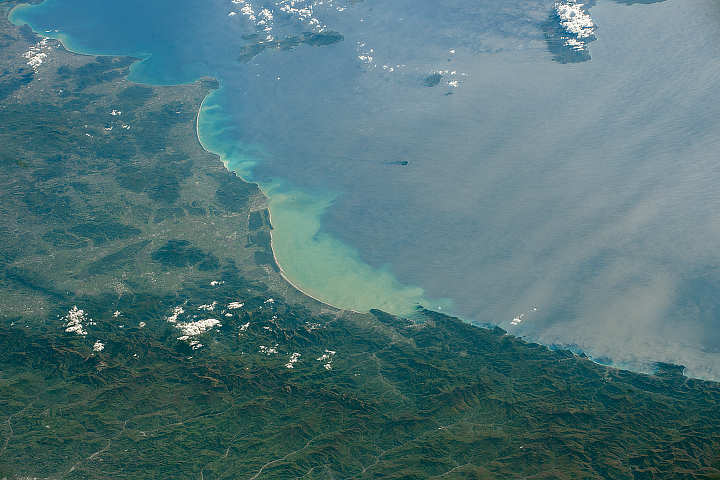 This “Cities from Space” collection represents a unique view of cities around the world as they appear from orbit. A new feature has recently been added that allows zooming and panning to interactively view geometrically corrected photos. 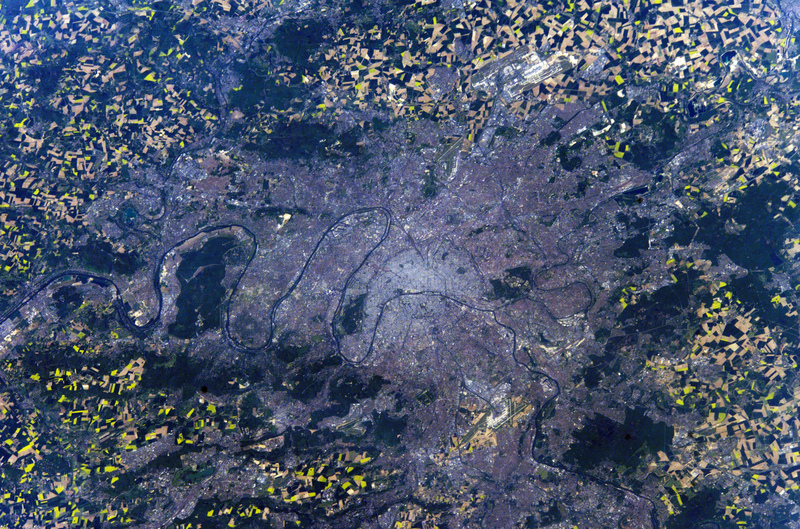 This feature is available for a related, more detailed photograph of Paris taken at the same time by the Space Station Alpha crewmembers. Digital photograph number ISS004-E-10414 was taken on April 24, 2002 from the Space Station Alpha and was provided by the Earth Sciences and Image Analysis Laboratory at Johnson Space Center. Additional images taken by astronauts and cosmonauts can be viewed at the NASA-JSC Gateway to Astronaut Photography of Earth. The colors of the agricultural fields surrounding Paris are striking in thespringtime, even when viewed from a 400-kilometer orbital altitude, as seen in this photography taken by astronauts on board the International Space Station.